On June 19, 2015 Minister Alexander gave speech to Canada's successful launch of Express Entry, a modern immigration application system designed to attract the best and brightest immigrants from around the world who meet Canada's labour market needs. The Minister has also highlighted government priorities outlined in Economic Action Plan 2015 - Training, Trade and low taxes. During his speech at the Economic Club of Canada, Minister pointed out that Express Entry is a key economic program in Canada. Launched on January 31, 2015, the program has exceeded expectations and proved to be the best solution to attract the best immigrants from around the globe. Out of some 40,000 thousand applicants registered with Express Entry, around 11,000 candidates have already been selected during 10 selection rounds and received their Invitation to Apply (ITA) for permanent residency. It has also been stated by the Minister that the scale of Express Entry will go up from a thousand of selections per month to thousands of selections per round. Canadian employers and provinces are starting to see unquestionable benefits of this program by selecting a “higher caliber” of applicants who meet Canada’s labour market needs. According to the Minister, Citizenship and Immigration Canada expects all immigrants to become Canadian citizens, i.e. 85% of applications for Canadian citizenship are successful. 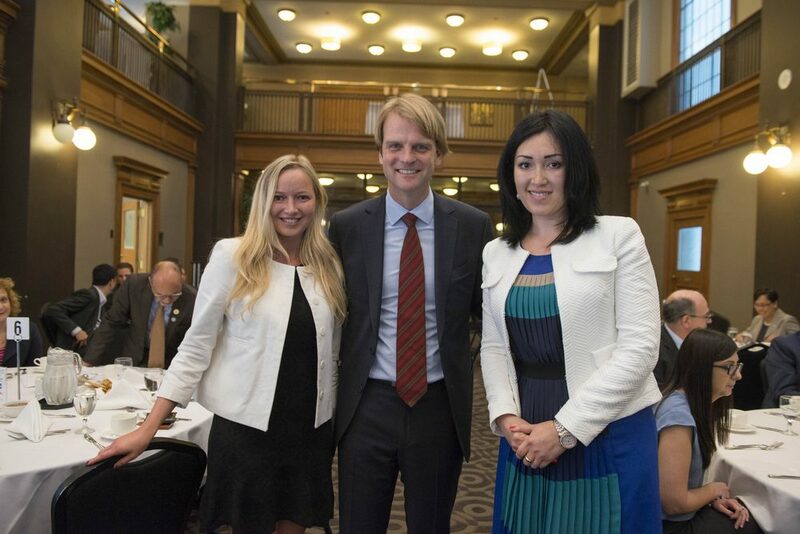 On behalf of RAC Immigration Services and our partner, Ronald A. Chisholm Limited, we would like to thank The Honorable Chris Alexander for his informative speech and a great photo.